So how exactly will the AI football coach help Wingate & Finchley FC? Well, forget former England manager Kevin Keegan’s one-size fits all approach of “score more goals than the opposition”. Instead, the AI football coach will provide tailor-made tactics and can evolve its thinking over the course of a season. 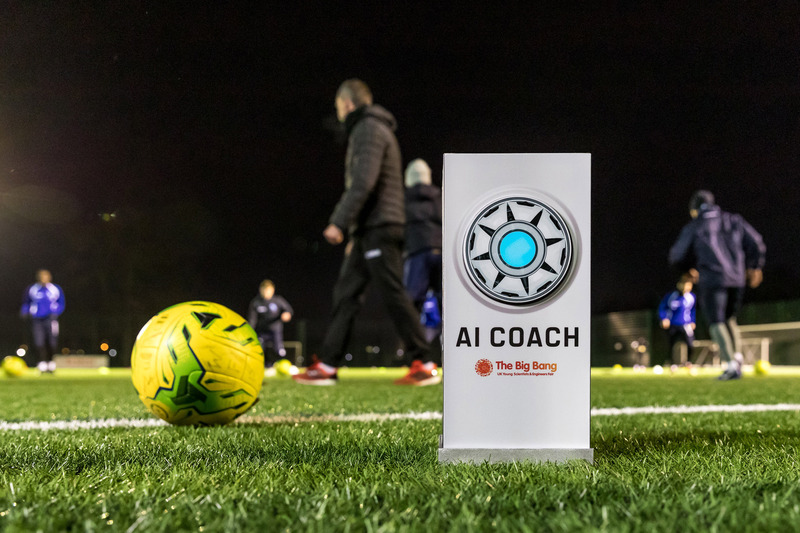 The AI has a simple conversational interface (via an Amazon Echo) allowing the club’s staff to easily speak with the AI about football tactics and team management without requiring expertise or training in AI. As any pundit or fan will tell you, football is a game of two halves, and a match can change in seconds. To help the human coaching staff make tactical decisions during the ebb and flow of a game, the AI can also provide recommendations and inspiration around substitutions and gameplay in relation to real-time scores. So, if the team is 2 – 0 down, the AI coach might suggest, when prompted, a more offensive style by replacing a midfielder with a striker. Or if a player is red-carded the AI can suggest an appropriate change of tactics. All decisions that are made can be relayed to the AI football coach, which will store all of the data and use this to aid future tactical decisions. Tim Deeson, of Greenshoot Labs, concluded: “We’re eager to see what happens when you introduce AI into an environment which is typically not used to having access to it, in this case, a non-league football club. This project demonstrates just how easy it is to do that in this day and age: in just a few short weeks we have been able to develop an AI system for a team that they can easily query and interact with that helps them dig deeper into what sort of playing approach they could have. Over time the AI will learn from the data it gathers and can become an even more insightful tactical aid. The Big Bang UK Young Scientists & Engineers Fair is the largest celebration of science, technology, engineering and maths (STEM) for young people in the UK. The event is taking place from 13-16 March 2019 at The NEC in Birmingham. For more information, please visit:https://www.thebigbangfair.co.uk.